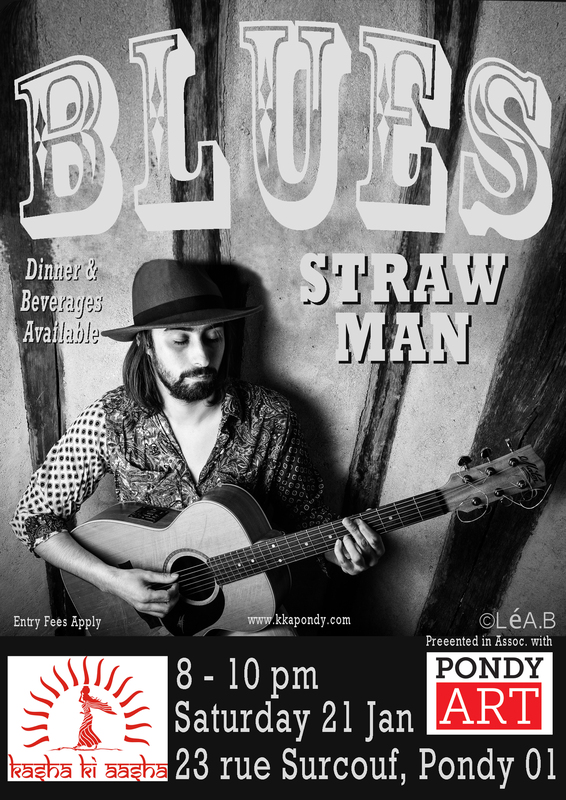 STRAW MAN (French musician Aymeric Simon) brings us some incredible Blues this coming Saturday at Kasha Ki Aasha. Come join those in the know searching for the best of live music in a venue that feels like its Purely Pondicherry! Performance begins at 8 pm with 2 sets finishing at 10 pm. We believe that children love great music too, so feel free to bring yours too! We have a special dinner menu and a license on Saturday evenings! Entry Fees Apply to help us pay our performers! Call 413.222.2963 for directions, but we don’t take reservations! It’s first come, first serve!